HOME - Royal Observer Corps Association This website was set up in October 2012 and is the new official site for the Royal Observer Corps Association. 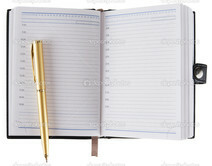 NEW DATES FOR YOUR DIARY - Scroll down the page for more. Coming soon: National Secretaries July Snippets. Report and pictures from Maidstone Group. Hover on National Events tab above. This year we mark the 70th anniversary of the reformation of the ROC in 1947. HOLBEACH POST IN LINCOLN GROUP - open day September 7th. As part of this years National Heritage Week events Holbeach Post will be open to the pubic as above. After many months of suffering Ian passed peacefully away on Sunday the 16th of April. He was a stalwart member of No 2 Group and well known nationaly for his attendance at memorial services where he often carried the Group and National Standards. A Guard of Honour of twelve members formed at the Church door. The ROCA National and two Group standards preceded Ians coffin. Many of you will remember Sid, especially those in Metropolitan and Southern Areas. After a long illness he passed away on Saturday 8th April 2017. His funeral, took place: Tuesday 25th April at 11.30 in the Ringwood Parish Church, Market Square, followed by a private cremation. On line donations can be made to Macmillan Care in the Community. We are returning to this popular hotel again this year. ROCA POLO SHIRTS AND FLEECES AVAILABLE NOW! A range of monogrammed polo shirts and fleeces are available from the National Secretary Jenny Morris. Carlisle Group have announced the first 2017 Open Day for their restored 51 Post. John has been awarded the MBE in the 2017 New Years Honours List. "John Sharpe National Chair, Royal Observer Corps Association. For voluntary service to the Children's Hearings System in Scotland and the Royal Observer Corps." Well done John a well deserved award. Last Autumn, Jenny Major caried out a full survey of the progress of the Group Trees, within the Royal Observer Grove. At the National Memorial Arboretum. She presented it to the National Reunion at Buxton in October. To enable Groups a chance to see the condition of their individual trees, we have published a separate page with the survey and images. Observer Commander Derrick Ballington passed away on the 13th November 2016 at the age of 93. He was Group Commandant of No 2 Group from 1973 - 1983. As Observer Officer Ballington he was the Junior Officer selected to receive the Sovereigns Banner from Her Majesty the Queen at the Royal Review held at RAF Bentley Priory in 1966. Following his retirement he became active member of No 2 Group ROCA and was their President for many years. 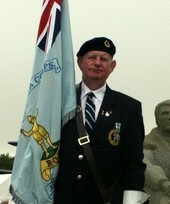 We are saddened to report that Obs/Cdr Ron Glover died peacefully on November 25th at St David Hospice in Llandudno. Want to know who does what etc. on our Heritage Team? National Heritage Officer - Edwina Holden MBE - has updated the team list which outlines the various duties of the team members. Lawrence Holmes has secured the 2017 dates for the Open days with National Trust. HAPPY BIRTHDAY to our Royal Patron. Her Majesty Queen Elizabeth II on the occasion of her 90th Birthday. Long may she continue to reign over us. 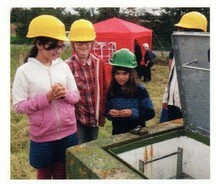 Holbeach underground post (LIN/66) A GREAT SUCCESS!! Sunny wethear and a lot of interest in this summers Holbeach Post Open Days. The National Committee are carrying out a Survey of Dress Codes. See the latest video filmed at the Armed Forces Day event in Cleethorpes. A Poppy themed lapel badge featuring the ROC Crest is proving popular with members. National Secretary Jenny Morris has procured a supply and is offering them at £10 each which includes Postage and Packaging & a small donation to Association Funds. Report and more pictures link here. As custodian of the Veryan Post Museum in Cornwall Lawrence was approached by an old friend Duncan Little who was keen on creating a series of You Tube videos on the history of the ROC suitable for students researching the Cold War. An 11 Group RAF Sector Clock that had been damaged in the fire here at Bentley Priory in 1979 has been restored and was brought back to the Museum. Were you awarded the ROC Medal? If so your name should be in this book. B17 crash in 1945 Two ROC members on board. 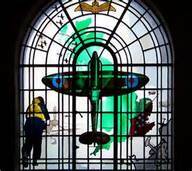 The Bentley Priory Museum is open to the Public. Refreshments available: Free Parking in museum. Address: Mansion House Drive, Stanmore. Sat Nav postcode – HA7 3HT. My E-MAIL ADDRESS:- To help me with site administration please use my btinternet.com address shown below for all messages. The outlook.com address shown on the Membership Enquiry form is used exclusively for these enquiries. ROCA ORIGINAL WEBSITE I am pleased to tell you that Roy McDowells daughter has agreed to continue to provide access to the original rocassoc site set up in 2001. Roy left instructions for her to do this so that the site will continue to be a valuable source of past news and events. Go to National Organisation page, scroll to the bottom of the page for details. The ROC Museum in Winchester is now the custodian of the old record cards from the MOD. Not all ROC Group's records were kept after the Stand Down, but quite a lot were saved. The on-line submission form, for potential new members, has proved to be worth while (See panel below). If you receive an enquiry form in this way please ensure that any response is followed up promptly. Always keep the National Membership Secretary* up to date when new members join. Group News Letters are copyright to the publishing Group. Always ask permission before copying any pictures or text for publishing elsewhere. I'm always on the lookout for new stories and news items for the website. If you have anything you wish to share please let me know. Please note: Older editions of Group Newsletters are no longer available on the old rocassoc.org.uk website. Latest Snippets from the National Secretary Go to National News page. YOU CAN Also Apply on Line click here to access the Application Form. IMPORTANT: Before completing the on line form please read information sheet first to see membership categories. GROUP NEWSLETTERS Latest news from the Groups. : ORGANISATION Details of the National Committee and Office bearers : GROUP INFO Details of Group Committees and Area Representatives. : NATIONAL NEWS National secretary's Snippets and other news from the National Committee. The Royal Observer Corps Benevolent Fund is still there for those that are in need. It may not be you, but it could be someone that you know. For more information follow the link to the ROCBF pages using the headings at the top of this page, or the site guide above. It has been 26 years now since the ROYAL OBSERVER CORPS stood down, and 2015 marked the 90th Anniversary since the Corps was founded back in 1925. The ROCA Heritage Committee continues to deal with enquiries from past members, families of members and researchers too.